Let the boring couple, KeropokMan and KopiKosongGirl show you around 'Boring' Singapore. 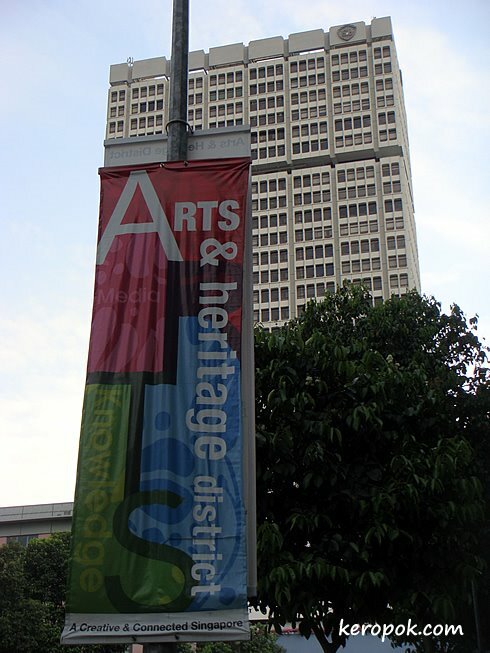 I did not know that Singapore had an "Arts & Heritage District", until I saw this banner. 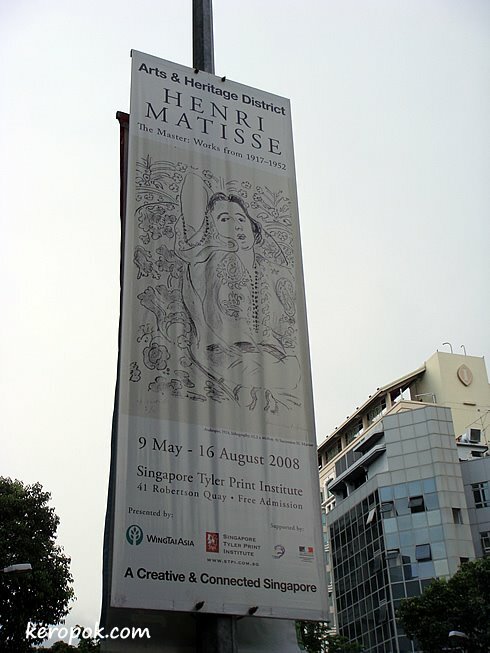 Anyone interested in Henri Matisse should visit the Tyler Print Institute soon. Or download their brochure (Page 2) that's easier to understand. Note the brochure is outdated though. thank you so much, i appreciate it. I LOVE Matisse! Oh I wish I was there visiting you! That exhibition will be worth a visit. XL or XXXXXXXXL size for you? Wow, the road signs are actually cleaned! Take an allergy test and get paid for it as well? Theme Day - "Metal" : The Made in Singapore Iron. Copyright Keropokman / BoringSingapore.com. Awesome Inc. theme. Powered by Blogger.